HIST Menu Show search box. Tuesday: 9 a.m.–12 p.m.; 1–4 p.m. Welcome to the History Department of California State University, Chico, located on the top floor of Trinity Hall in the heart of the campus. We are a community engaged in that most serious and intellectually rewarding of pursuits, the study of the past, the living past, that continues to shape our present and our future. In this Web site you will find information about both our course offerings, how to become a history major or minor, as well as about our graduate program and our certificate in public history. Browsing our faculty biographies you will discover why our faculty is one of the most honored on campus for its scholarship, teaching, and service. You can also learn about our vibrant student organizations. Of course, please feel free as well to stop by Trinity Hall and visit us. Watch videos of recent History Public Lectures, Cowden Memorial Speakers, and History Roundtable discussions(opens in new window). Arizona has become ground zero in the nation’s struggle over immigration reform, but how did this minor border state come to play such a major role in elevating anti-Latinx nativism to the forefront of national politics? 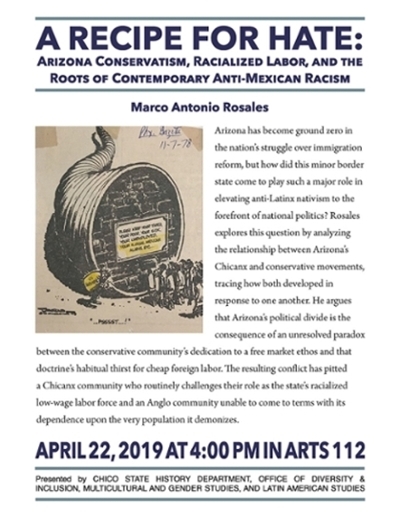 Rosales explores this question by analyzing the relationship between Arizona’s Chicanx and conservative movements, tracing how both developed in response to one another. He argues that Arizona’s political divide is the consequence of an unresolved paradox between the conservative community’s dedication to a free market ethos and that doctrine’s habitual thirst for cheap foreign labor. The resulting conflict has pitted a Chicanx community who routinely challenges their role as the state’s racialized low-wage labor force and an Anglo community unable to come to terms with its dependence upon the very population it demonizes. The History Department requires all majors to consult with a faculty advisor before enrolling for courses for Fall 2019. The mandatory advising period for majors will begin on Monday, April 8th and end on Friday, April 19th. For General History majors, please sign up on this google doc (Google Sheet). Your name will be listed next to your assigned advisor. For Pre-Credential majors, please sign up to meet with Dr. Livingston on this google doc (Google Sheet). 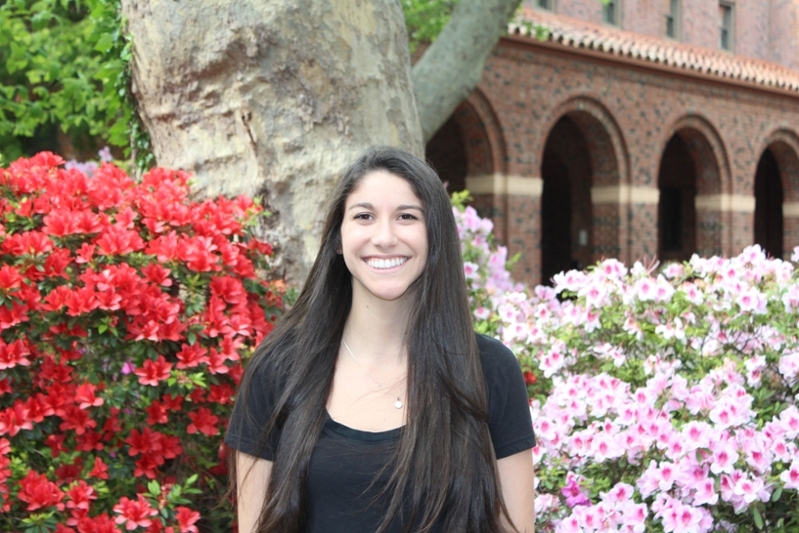 Molly Hamilton won first place in the undergraduate category at the Northern California Regional Conference of Phi Alpha Theta, the History honor society, hosted by CSU Sacramento. 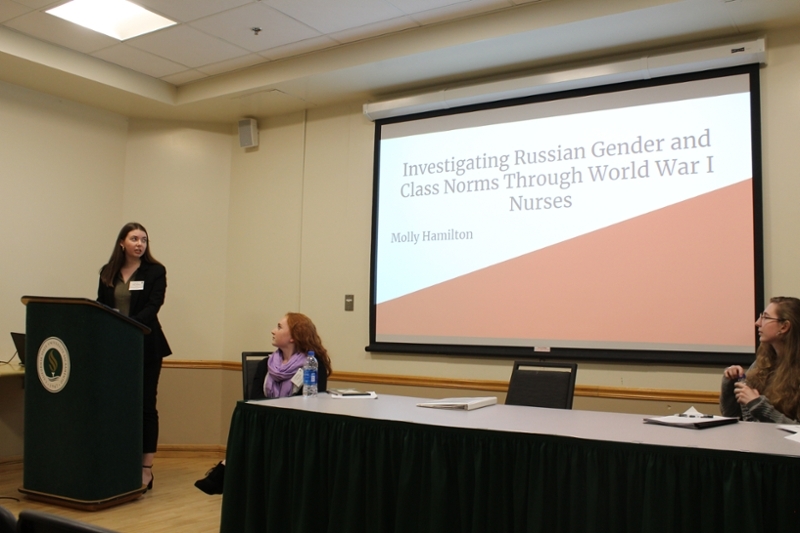 Her paper was titled “Investigating Russian Gender and Class Norms Through WWI Nurses,” a paper that she wrote in Dr. Kate Tranchel’s HIST 490 class this past fall. Congratulations, Molly! 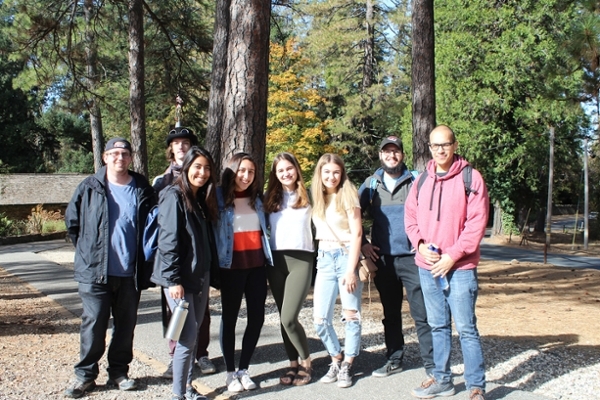 History Club students traveled to the Empire Mine State Historic Park, which is the site of one of the oldest, largest, deepest, longest, and richest gold mines in California. 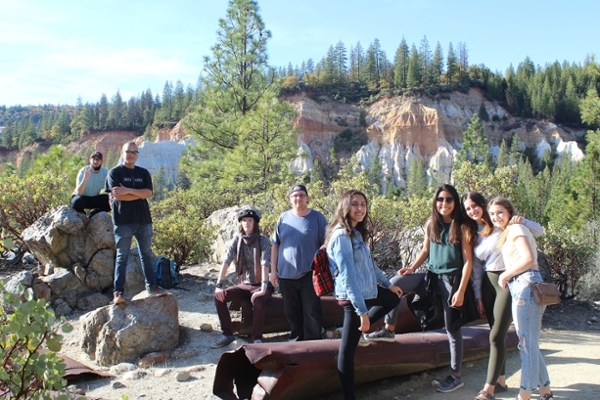 Students also visited Malakoff Diggins State Historic Park, the largest hydraulic mining site in California. 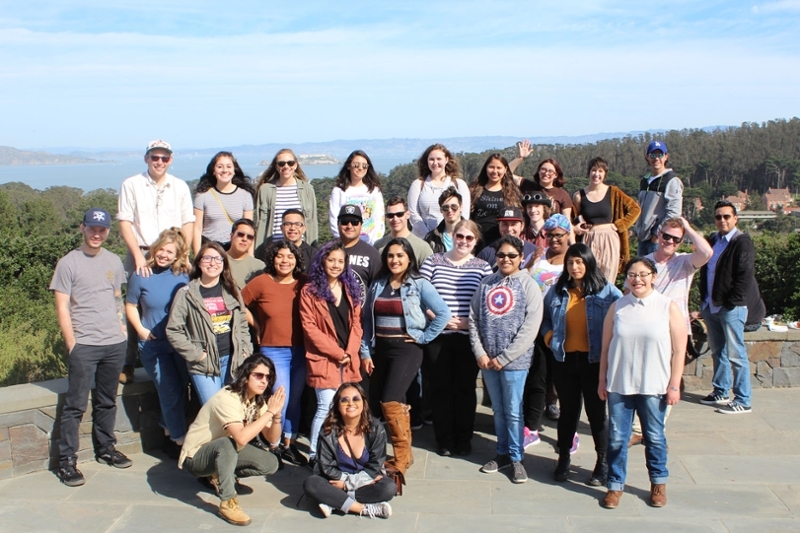 History Club students traveled to the De Young museum in San Francisco to experience the Teotihuacán exhibit.